This index is part of the eighth volume of the Loeb edition of the Deipnosophists published by S. Douglas Olson in 2012 (Index of Authors, Texts, and Persons). The index has been parsed using bash scripts and manually corrected in order to create an SQL database organized in fields containing data collected and arranged by Olson for each entry. Two web-based interface tools have been implemented for querying the SQL Database. A web-based Application Programming Interface (API) allows to integrate index data into external services. The digital version of the Index of Authors, Texts, and Persons has been enriched with a conversion of Casaubon references into Kaibel references. Given that the automatic conversion generates an expansion of data (e.g., 4.145a = 4.25 and 4.26), the system allows users to disambiguate and vote the correct correspondence between Casaubon and Kaibel paragraphs. Perform queries in the DB of the Index of Authors, Texts, and Persons. 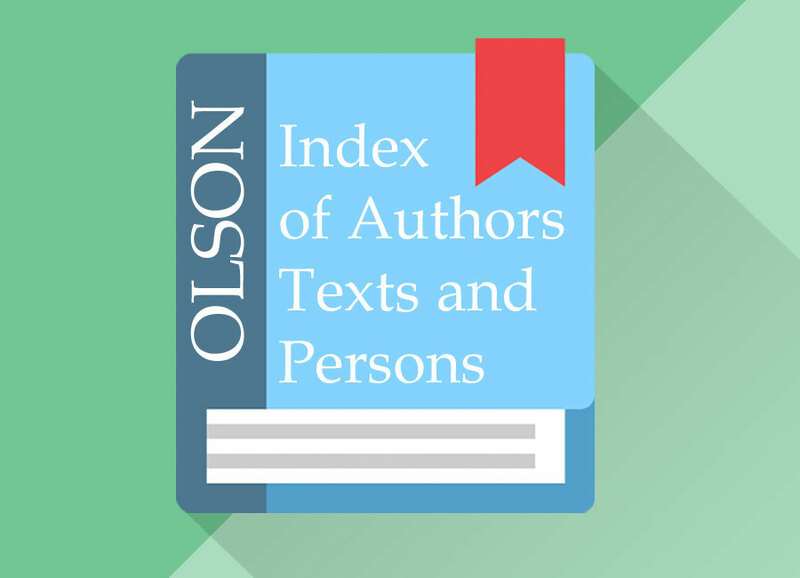 Produce a graphic visualization of the Index of Authors, Texts, and Persons data. Get a JSON output of "digger" queries of the Index of Authors, Texts, and Persons.